After four rounds of the Prague summer open Hamish is on 3/4. His first round game was black against the top seed Grandmaster Evgeny Vorobiov of Russia (rated 2575). Hamish held on for a long time, but blundered a pawn in a time scramble after which the Russian’s formidable technique won the game. He followed up with three consecutive wins against Ieyessa Bin-Suhayl of Italy (rated 1934 and 11 years old! ), Petr Tichy (1889) and Daniel Rous (2201) both of the Czech republic. He should be on the live boards tomorrow. 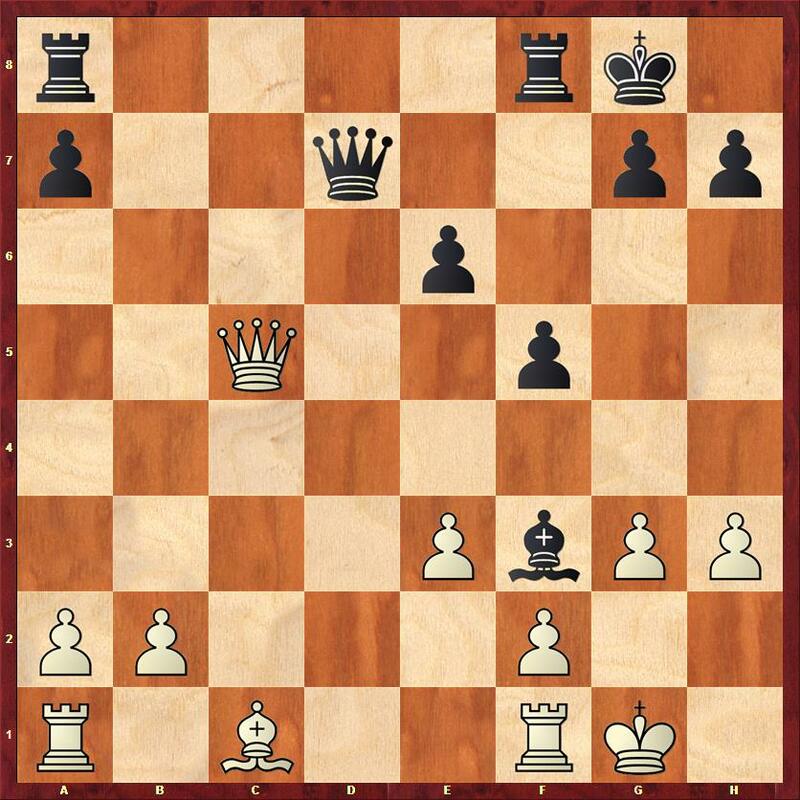 His game as black against Petr Tichy reached the following position after 20 moves. Here having already sacrificed one pawn for an attack, Hamish now gives up another pawn to get at the king. The game proceeded 22…Qd3 23. Re1 fxg3+ 24. Qxg3 Rf7? (a slight mistake 24.Be4! removes some defences based on e4) 25. b3 Qc2 26. Ba3 Bb7 27. Kg1 Rf6 28. Rec1 Qe4 29. Qh2? In the B open Neil began with a win against local player Karel Tomanek (rated 1418), and was faced in round 2 with black by top seed Israeli Semyon Karasik (2187). In a level position after 15 moves Neil was the recipient of a draw offer (presumably a swiss gambit) and accepted. 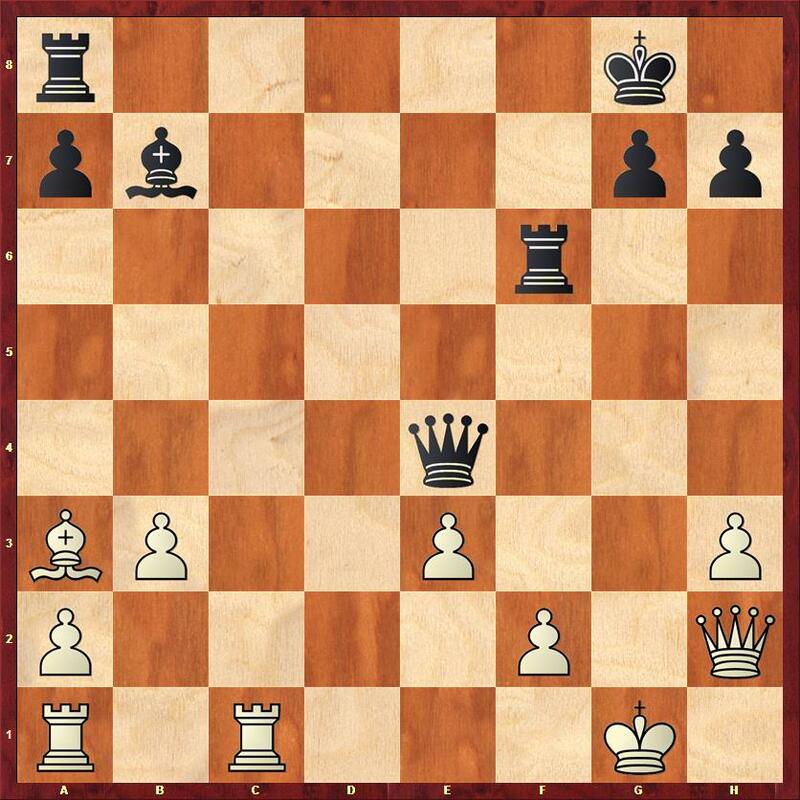 In round 3 against Klaus Thalhammer (1946 from Austria) as white Neil reached the following position. White’s opening has gone a bit wrong and black is now threatening to play c5 when his knight on d4 will dominate the position. 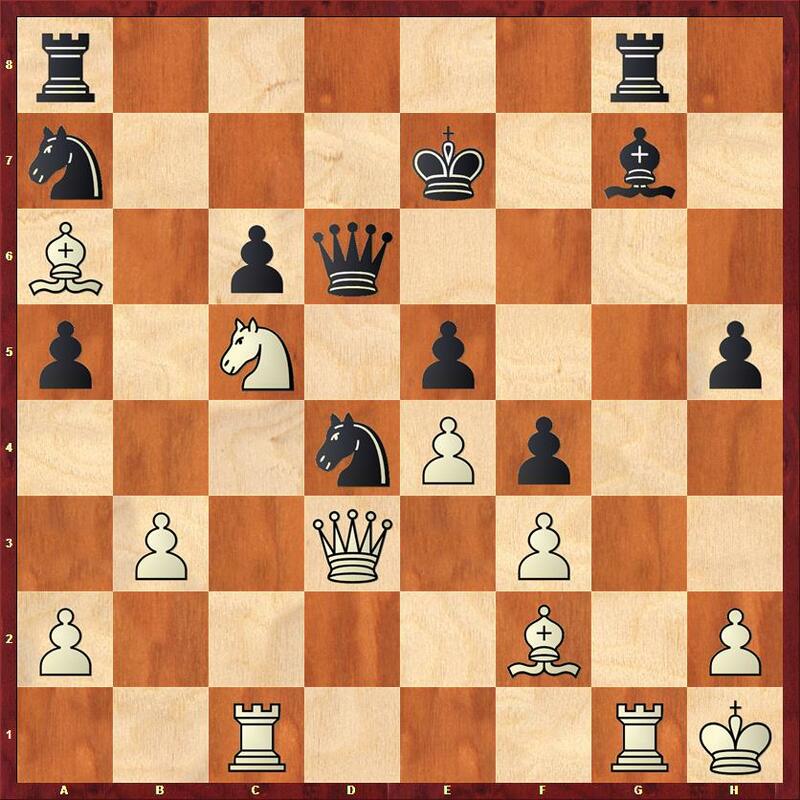 Here Neil found the only good move the pawn sacrifice 13.c5 dxc5 14.Bc4 when as compensation for the pawn white has the bishop pair, an excellent square for the light squared bishop on c4 and black has weaknesses on c5, c6 and a6. 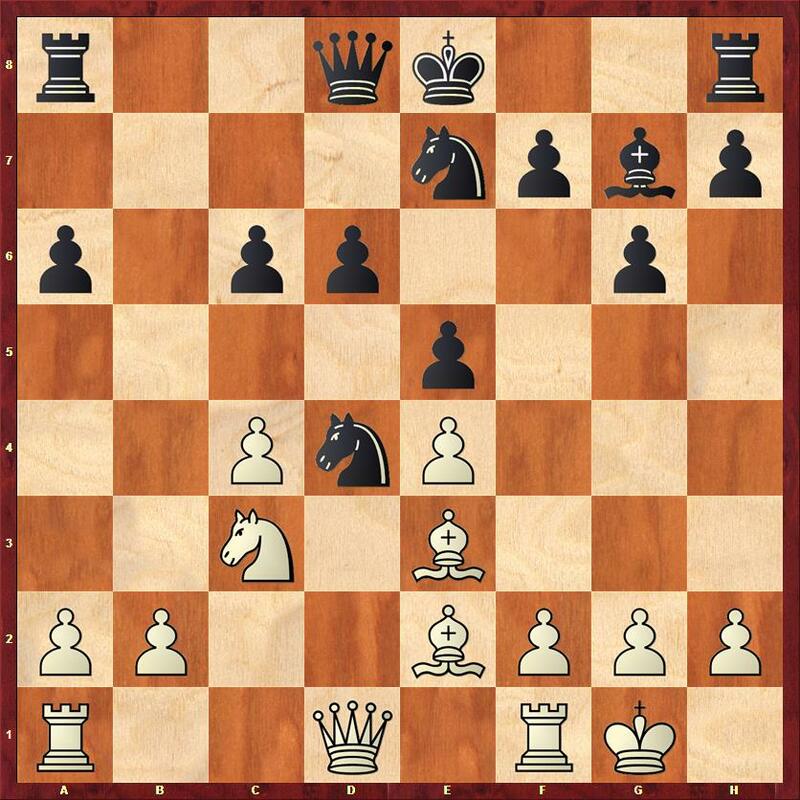 The weaknesses proved to be decisive and the game reached this position on move 29. A win in round 4 against Women’s International Master Nora Mohd Saleh (1907 of the UAE) leaves him on 3.5/4.